Highlights and Interviews from the 2018 KMC Genius Summit. The KMC Commander is Calling! Congratulations to a Summit well done! 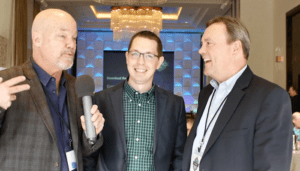 Richard Newberry, Tim Vogel, and team KMC Controls delivered another three-part agenda of product and technical training, motivation and industry insight, and networking and entertainment in a compressed and energized two days of Genius Summit at Chicago’s luxurious Langham Hotel. The best news yet, is that KMC Controls is ready to share the majority of the breakout sessions that were filmed. They will be available in the coming weeks… stay tuned! 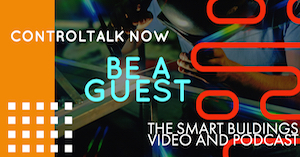 ControlTalk NOW — Smart Buildings VideoCast for week ending June 19, 2016 continues its coverage of the 2016 Niagara Summit with interviews from Vendors Showcase featuring Blue Ridge Technology’s Bill Dunkleberger, Tridium’s Emily Weisenesale, DGLogik’s Arthur Alter, OME Engineering’s Rick Warner, Contemporary Controlss George Thomas, KMC’s Richard Newberry, Lynxspring’s Chris Ryan, and MRSoluciones’ Alfredo Melnik and Carlos Roman. Don’t miss ACI’s Barry “Flash” Gordon inaugural training event and DOE’s investment of $10 Million towards Efficient Lighting Research and Development. 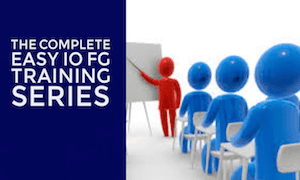 Free Training from ACI This Wednesday. Our friend Barry ” Flash” Gordon will be sharing his knowledge about ACI current sensors and switches. 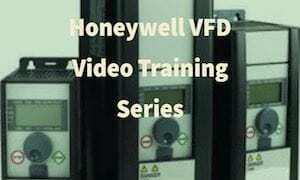 This is the first in a series of monthly training sessions from the control pros at ACI, so be sure to check it out. Mark your calendar for Wednesday (6/15) morning at 9 a.m. CST. Just click on this link on the 15th. 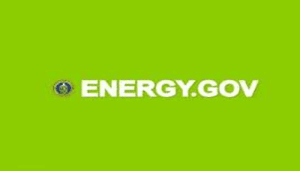 Energy Department Invests More than $10 Million in Efficient Lighting Research and Development. Building on the new commitments to the Global Lighting Challenge announced last week during the Clean Energy Ministerial, the Energy Department is announcing funding for nine research and development projects that will support solid-state lighting (SSL) core technology research, product development, and manufacturing research and development. 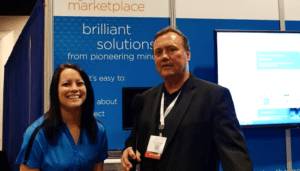 Tridium’s Emily Weisensale Shines the Spotlight on Tridium’s Niagara Marketplace. Emily Weisensale, Product Manager for the Niagara Marketplace, updates the ControlTrends Community on the growth of Tridium’s newest innovation — the Niagara Marketplace — a groundbreaking website that connects businesses looking to harness the power of the Internet of Things (IoT), with the experts who make it happen. BlueRidge Technologies Lights Up The Niagara Summit Product Showcase with a New Product. 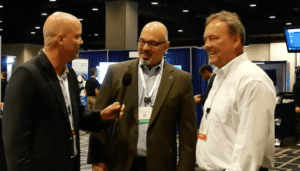 We caught up with our friend Bill Dunkleberger from Blue Ridge Technologies at the 2016 Vendor Showcase. Bill and his team provide a very powerful and easy to use lighting solution. Blue Ridge has developed an approach called Unified Lighting Control. Unified Lighting Control completes the BAS, incorporating lighting and HVAC controls on the same network. This network consolidation eliminates surplus hardware required for stand-alone and gateway lighting control. Arthur Alter Previews DGLogik’s Project Assist 2.0: Making the Invisible Visible — Affordably. So what are you going to do with all that data that you can pump out of Niagara N4? How are you going to get it in a format that is easy to see, easy to understand, easy to normalize, easy to install, and easy to customize, at a cost that is easy on the budget? 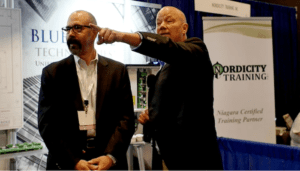 The “Men in Black” aka the DGLogik team have the products and answers to these questions, and they were out in full force at the 2016 Niagara Product Showcase. Take a look at their updated Project Assist 2.0. Rick Warner “Insights from the Innovator” at the 2016 Niagara Summit. 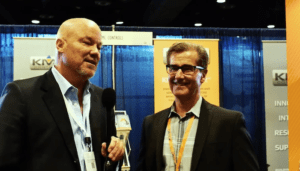 Always a ControlTrends favorite and provider of industry innovation and insight, Rick Warner, PE, LEED BC&D, CEM, DCEP, CXA, EBCP, President & Owner of OME Engineering, aka, The Innovator, shares a few of his takeaways from the 2016 Niagara Summit. 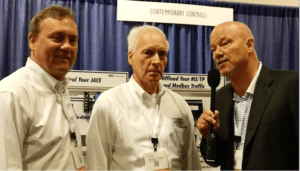 Contemporary Controls Distributor News, June 2016 — The BASautomation Force is Growing! George Thomas and the team at Contemporary Controls have developed one of the most powerful, open Building Automation Systems available in the BAS world — and with its continued investments in next-gen production, technical support, and marketing collateral, Contemporary Controls will keep growing its North American and global markets. KMC Converges on the 2016 Niagara Summit. What do Dell and Intel have in common? Among other things they both are partners with KMC and the New Commander Smart Buildings Control System that is designed to win the “Race to the Small Space.” The Race to the Small Space is a term Kenny and I coined to describe the building automation control solutions, that companies, like KMC, are designing to provide affordable energy management and controls solutions for the over 5 million buildings in the United States that do not have energy management control systems. 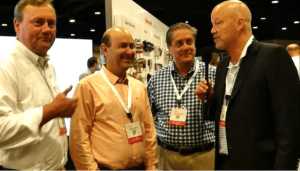 Founder and president George Thomas demonstrates Contemporary Control’s updates product portfolio that he and his team make for the systems integrators across the globe. Contemporary Controls designs and manufactures the system building blocks for networking, integrating, and controlling automation processes where performance and reliability are critical. 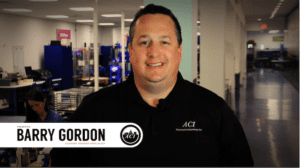 Contemporary Controls’ products are built upon open technologies such as ARCNET®, BACnet®, Controller Area Network (CAN), Ethernet, Modbus®, Niagara Framework®, Sedona Framework™, and are typically found in building and industrial automation industries. Richard McElhinney Presents Airmasters’ Plant Pro at 2016 Niagara Summit. We caught up with Richard McElhinney from Airmasters. 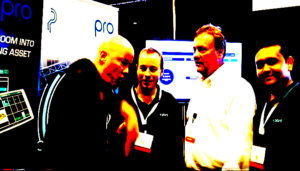 Richard gives an in-depth demo of Plant Pro’s alluring and efficient chiller plant optimization controller. Richard McElhinney is a leading systems integrator from “down under” and our “unofficial official” ControlTrends correspondent. 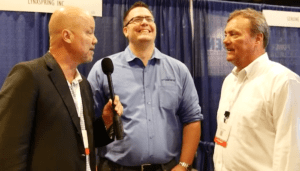 A veteran of many campaigns, Richard is a valuable source of information on the trends impacting building automation and the future of Smart Buildings. Lynxspring’s Chris Ryan Flexes Integration Knowledge at the 2016 Niagara Summit. While the potential for using data to improve energy and operational efficiencies is significant, the difficulty of organizing and understanding the data can be challenging. One of the challenges of working with data is it can be very hard to organize and use across different applications. It is stored in different formats, has inconsistent naming conventions and lacks information to describe what it means. What do Dell and Intel have in common? Among other things they both are partners with KMC and the New Commander Smart Buildings Control System that is designed to win the “Race to the Small Space.” The Race to the Small Space is a term Kenny and I coined to describe the building automation control solutions, that companies, like KMC, are designing to provide affordable energy management and controls solutions for the over 5 million buildings in the United States that do not have energy management control systems. 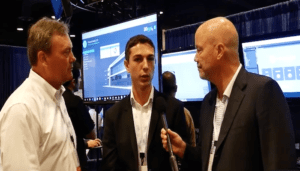 KMC’s Richard Newberry walks us through the KMC solutions that make buildings smarter and building automation control systems more affordable. NEW PARIS, Indiana – May 11, 2016 – KMC Controls invites YOU to visit us in Booth #201 at the 2016 Tridium Niagara Summit from May 15th through 17th in New Orleans, Louisiana. Niagara Summit 2016 is the premier industry showcase for connected devices and systems. Developers, programmers, building engineers and executives come together to share the latest innovations and breakthroughs, discuss business and technology trends that are shaping the Internet of Things, and learn more about advancements to the Niagara Framework®. The event emphasizes knowledge-sharing and ideas – with forums, presentations and breakout sessions. As a Premiere Sponsor of the event, KMC will be unveiling several exciting new products and technologies to optimize your experience working with Niagara 4! 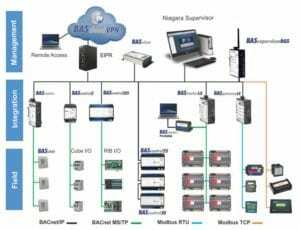 KMC offers multiple solutions that work within the Niagara Framework, including the KMC Conquest™ BACnet® control line, the KMC Conquest BACnet Router, and the KMC Converge™ Niagara application with supporting Converge GFX™ graphics package. About KMC Controls: Founded in 1969, KMC Controls is an American manufacturer of open, secure, and scalable building automation solutions. From secure hardware devices to smart and connected software, KMC delivers embedded intelligence and optimized control. KMC is committed to providing industry-leading Internet of Things-enabled automation solutions with leading tech suppliers to increase comfort, convenience and help reduce energy usage.